military – Welcome to Spinksville! 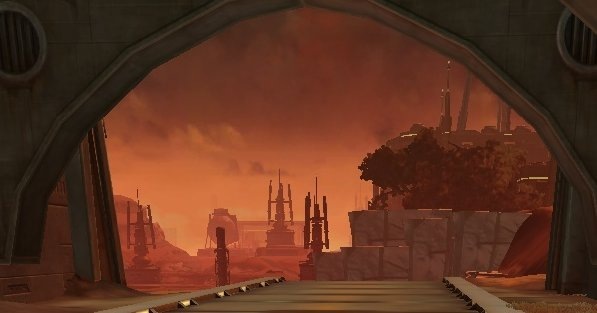 [SWTOR] What exactly is an evil society like? And the pure joys of barrel kicking! One of the joys of playing through SWTOR as a Sith is that you get some solid insights into how a fantasy society that is run by evil wizards who can murderise high ranking military officers at a whim might operate. It is a tall order to make this plausible in a way that doesn’t have players screaming, “Why exactly has there not yet been a military coup?” In fact, why would any semi-sane sith (let’s assume these exist) kill a competent military officer just because they were in a snit anyway? And the perennial question with Sith is why any of them bother taking apprentices, when it’s inevitable that said apprentice will one day try to kill or betray you. Bioware has shown in the Dragon Age and ME games that they’re adept at designing plausible yet alien fantasy societies. The dwarven society in Orgrimmar Orzammar (thanks Risandre) was a delight, as was the strange world of the Qun in DA2, and even the Dalish elves had an alien yet believable polish. And they’ve done it again with the Empire in SWTOR. As my warrior’s story progresses, I have been involved in conflicts which saw military units caught up in the middle of political spats between backstabbing Sith Lords and seen how the commanders respond. There’s a variety of responses from “Argh, you sith and your infighting again!!! (Dies)” to “I expected no different, and it is an honour to die in the service of the empire.” Also I get a sense of the brown nosing that officers show to Sith when they want favours done, which tends to make them (officers) as a class seem quite spineless if you’re a) not used to it and b) don’t realise that they’re not actually like that all the time. Another nice touch is the difference between the officer class and front line soldiers. Officers tend to have posher accents, and be far more polite. 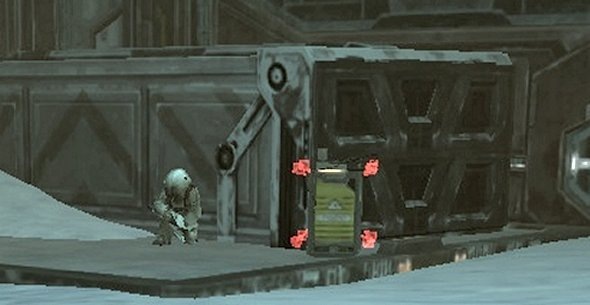 With practice, you’ll be able to tell exactly what type of military NPC you’re speaking to just by listening to the voice acting, even if they don’t explicitly tell you. I’ve been more aware of this since having Lieutenant Pierce as a companion, since he actually likes it when you are uppity to officers, but understanding of front line troops. In other words, the NPC companion is quite class conscious, so I tend to be also when he’s with me. Another theme that comes through is how having a Sith Lord as a mentor/ employer can do great things for a military career. There’s a risk of being casually force-choked, or thrown away in a spat of Sith infighting, but the rewards for an ambitious officer (like Quinn) can also be very good. In a recent cut scene, he noted that he had been recommended for a promotion, but would need my approval for it to go through. It’s these little touches that show the thought that has gone into the background. And as for the apprentices, it becomes clear that having a strong, competent apprentice who can get things done will vastly improve the reach, and maybe even the reputation of an ambitious Dark Lord. And equally clear that they tend to have at least two apprentices each, so that they can keep them occupied by being at each others throats. Also, woe betide the apprentice who seems to be getting a bit too powerful, too full of themselves, or too difficult to control – a smart Sith Lord will shoot first. I’ve enjoyed being able to see through the storylines how different Sith Lords might handle their apprentices, from my character’s master to Darth Gravis on Taris who seems extraordinarily laid back yet still manages to set you in competition with his apprentice without even breaking a sweat. Apparently Diablo 2 is 15 years old this week. Which seems like an appropriate time to celebrate one of the ground breaking game mechanics that made the game such a great success. Destroyable barrels. Who has not played D2 and felt the sheer joy of kicking barrels, watching them explode impressively, and seeing if they contain any interesting loot/ monsters. This never got old for me. And maybe this is why it makes me so happy to have explody barrel things in SWTOR also. This screenshot shows how they are presented in the game, if you see those 4 red arrows around an object, that means it can explode. What took me awhile to realise is that even if your character has negligible ranged attacks, you can still explode the barrel from range. You mouse over it until the hand icon turns solid gold, then right click. BOOM. And any mobs close by get thrown onto their backs and take some damage. It’s the simple things. Next post I’ll talk about more useful hints and tips, and potions/ heal potions/ buff potions in specifics.